It’s been a busy time for our award-nominated Lewes branch, and so it’s no surprise that we’re looking to grow our team. Due to increased popularity for our services and we’re looking for two new colleagues to support our high-street office where we cover a diverse property sector that includes traditional homes and historical buildings, new homes and developments, lettings and commercial sales and lettings. 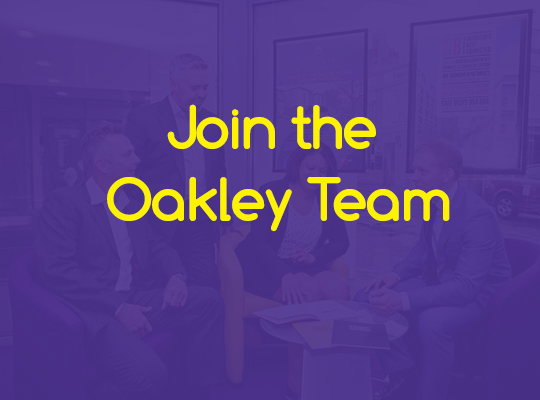 Both roles we have created will provide support to our Directors, Property Managers and Negotiators at Lewes, but you will also very much be part of the wider Oakley family that spans across Sussex. We enjoy regular team events including doing our fair share for charity, and recently celebrated 25 successful years in business. Our Lewes office have been nominated twice for a local business award and the Oakley brand has an excellent reputation throughout Lewes, Brighton and beyond so this is a fantastic opportunity to join a highly regarded team in an exciting industry. This role will be an interesting mix of admin duties related to people and properties, some marketing and some sales support. We are looking for someone with strong IT skills, with the ability to perform in a busy environment in our high street office, with personal high standards of integrity and professionalism. Estate Agency experience is preferred, but not essential. This is a full-time position, however flexible working may be available, and the salary and package will depend on experience. The Saturday Assistant role is a key part of providing a friendly, approachable and professional service to our clients and customers at the weekends. The role will be varied and will include handling walk-in, telephone and email enquiries, but also carrying out property viewings in Lewes. No experience is necessary but good organisation is key in our busy high street office, as is an outgoing, professional and approachable attitude, and a good knowledge of the local area. Again, salary and package will depend on experience. Please send your CV in the strictest confidence to David Beaken at david@oakleyproperty.com stating which role you would like to apply for. We look forward to hearing from you and hopefully welcoming you to our team!